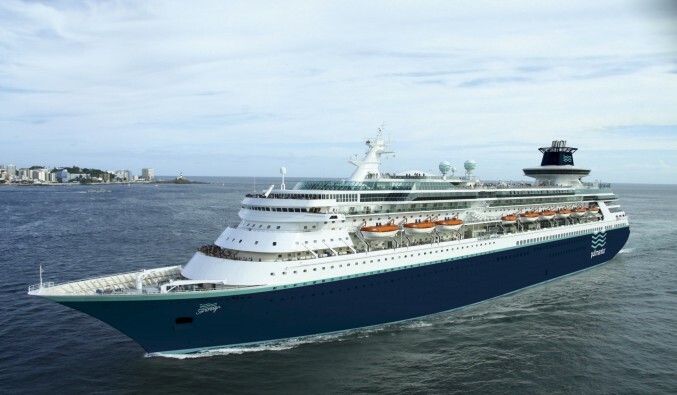 Pullmantur, with a history of over 40 years, is the leading shipping company in the Spanish market, and focuses its activities exclusively in the cruise business. Since 2006 it is an important part of the group Royal Caribbean. It operates under the brand Pullmantur and Croisières de France, this one focused on the French market and for francophones. Their fleet has a daily capacity of more than 12,000 passengers, operating a total of 30 routes, and playing 135 different ports in the Mediterranean, Atlantic, Baltic and North Seas and the Caribbean. The cruise line takes care of all the details related to the passenger experience on board, which meant being considered for 5 consecutive years (2009-2013) as the cruise company with the best crew -Onboard Service Excellence Award-. Since 2013, Pullmantur also promotes the international development with a strategic plan for growth in the Latin American cruise market, which currently accounts for 50% of its activity. The group, based in Madrid, has more than 7,000 employees worldwide, and sales offices in Spain, Brazil, Panama, Mexico, Colombia, France and Portugal. © 2019 Nudoss.com. All rights reserved.